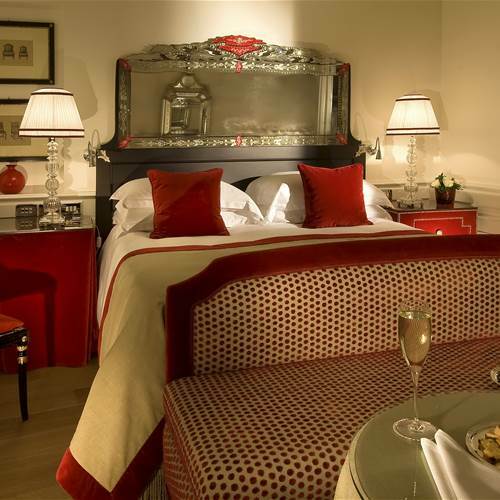 Each Deluxe double room offers an harmonious atmosphere, with a unique blend of modern convenience and classical charm. 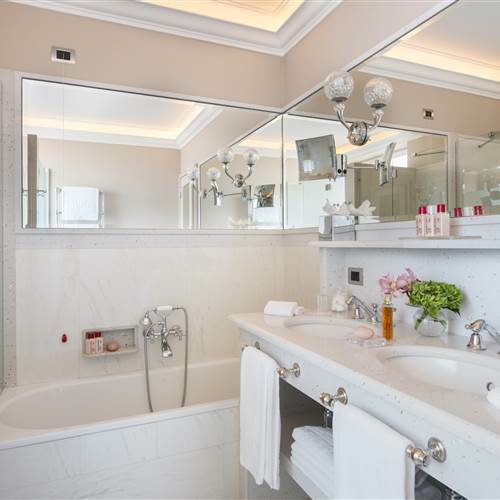 Equipped with all the necessary advanced technologies, either with king or twin beds, marble bathroom, the Deluxe rooms are designed with ultimate guest comfort in mind at one of the top hotels near Trevi Fountain. Many of the Deluxe rooms interconnecting with each other. 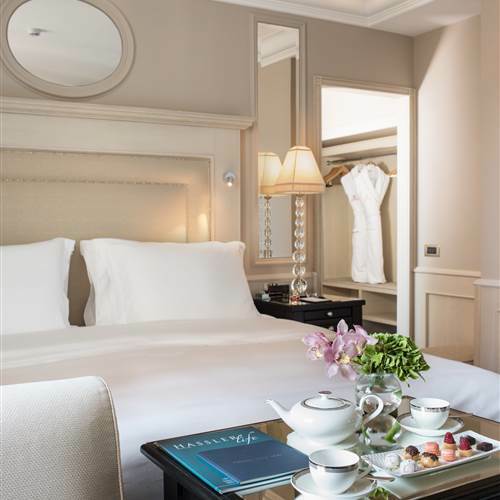 Deluxe double rooms are ideal for one who wishes to experience a romantic holiday escape in Rome or is visiting for a business matter. Deluxe double rooms have either a garden-side,“internal courtyard” or city view. Approx. 28 sq.mt. / 301 sq.ft.